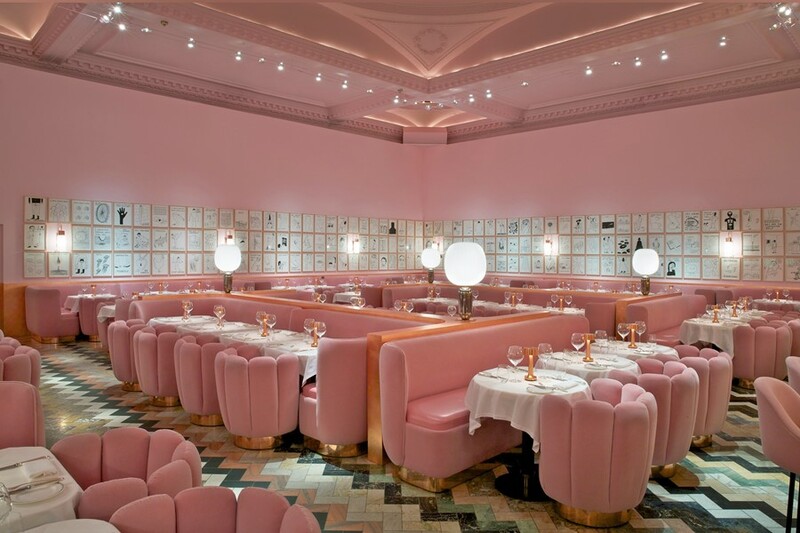 Crowned the “reigning queen of colour” by Architectural Digest, India Mahdavi is an interiors maestro with an eye trained to contemporary society’s sweet tooth. Having lived a well-travelled youth, her projects combine the cartoon colours and strawberry milk of her stateside childhood – what she refers to as a kind of “Pop Orientalism” that stems “almost sub-consciously” from her Iranian and Egyptian heritage. 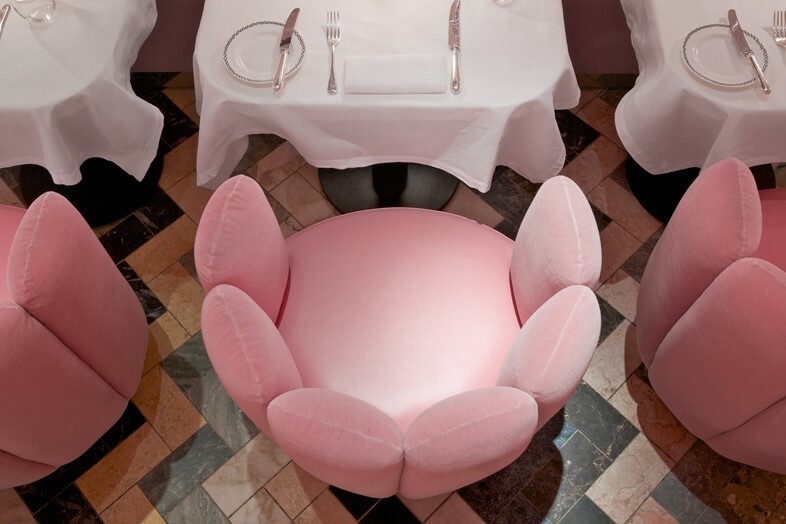 Though she pools inspiration from the cities she’s inhabited and the films she’s delved into (Mahdavi had hoped to be a filmmaker and upon leaving high school spent a year watching three films a day at her local ciné in Paris), it is instead her perpetual foreignness to which she owes her success. Always being the new person primed Mahdavi with a sense of adaptability that allows her to read people and places, rapidly. 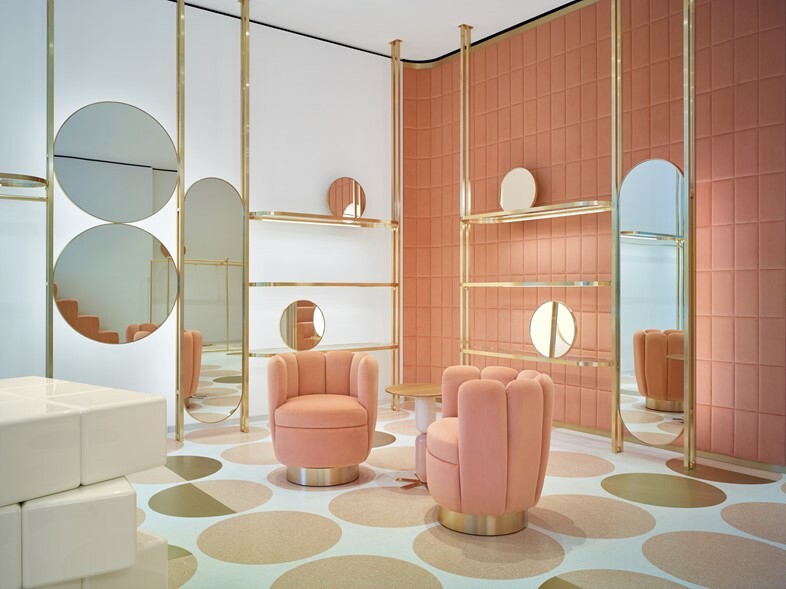 In our digitized world, Mahdavi explains, “we need tenderness”, which is why our Instagram feeds are filled with her invitingly plump, velvet-lined nooks from The Gallery at Sketch to the new REDValentino store on Sloane Street. 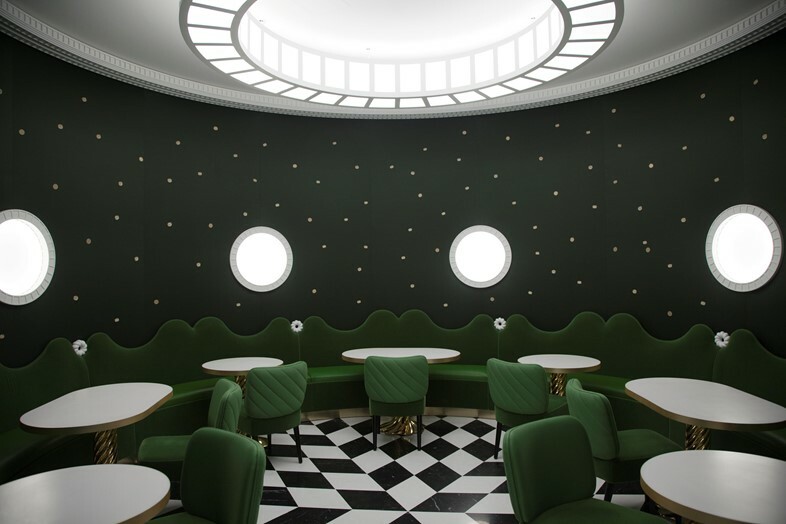 As she launches her latest venture, Ladurée Quai des Bergues in Geneva, Mahdavi tells AnOther all about her attraction to the plush, piled fabric that’s filled the catwalks for several seasons, while outlining each of our favourite spots.